I eat alot of pineapple and this will be very useful in my kitchen. Recently started buying fresh pineapple. I use a lot of fresh pineapple. 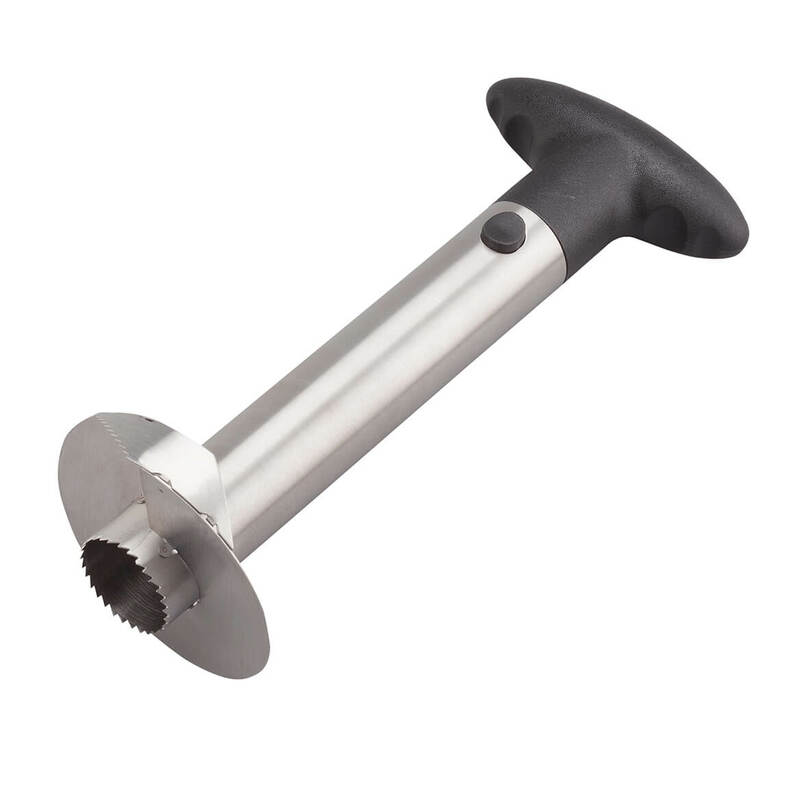 We have the all plastic version, however, I believe that the stainless steel pineapple slicer will out live the plastic model by far. 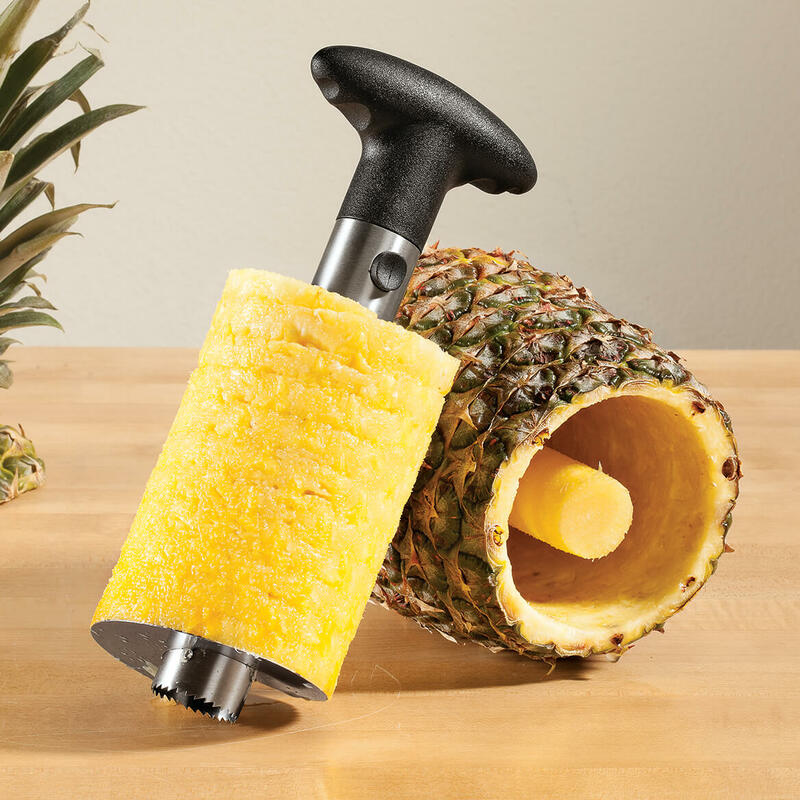 My mom had a pineapple slicer like this that worked beautifully. I'm looking forward to seeing if this has the same craftsmanship. An easy way to core and slice a pineapple. My local grocery store used to core pineapple for free, now they charge a couple dollars. This gadget will pay for itself in a short while! Hope makes easier to prep pineapple and I think the "metal" one would be better than plastic.